I have been thinking a lot about color and its use in data presentation recently. Color use is something that is especially of interest to me as I find myself to be one of the 8-10% of the male population who suffers from color blindness. 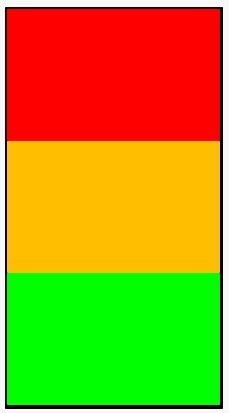 In my case, I have the most common difficulty which is red-green. Essentially what happens is that different shades of red and green become more brown to me and therefore two distinct colors, that have a similar saturation and brightness, may actually appear to be the same to me. One area where this is particularly significant is with RAGs - Red, Amber, Green indicators which will usually indicate Bad, not so bad, and good respectively. 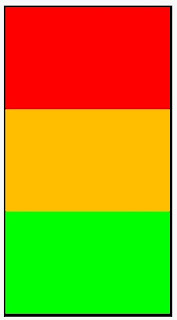 In this example, I have shown pure red, amber and pure green. For me, while they are relatively easy to spot here, the green and amber colors can look very similar on smaller displays or where they are not right together (like in a traffic-light or beacons on a page). I always like to use Stephen Few as a reference and he has discussed this in his books as well as this useful article: Practical Rules for Using Colors in Charts. 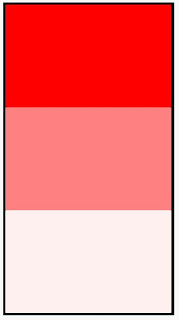 Here we have an almost white color representing good (and white would be a good option too as most people are not looking for good, just for the bad). The range gets darker along with the situation. Of course, one of the problems that might be raised with you is that people "intuitively" understand RAG and that one needs to conform to the "norm". This thinking was fresh in my mind while recently passing through a UK airport. 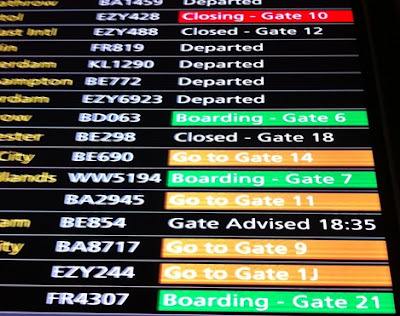 They have the normal type of gate signs which they have color coded for 4 statii which are to advise passengers on the status of boarding their flight: nothing happening, go to gate, plane is boarding, gate is closing. The "nothing" status is represented by no color - it matches the black background and that is probably a good choice. The "closing" status is dark red and this is also a good choice because that indicates (in "western" society anyway) danger and the need to get a move on. However, the "go to gate" is coded in amber and the "boarding" is green. This doesn't appear very logical to me as, if I was some way from the gate, "boarding" would be something much more urgent than "go to gate". I am sure that there is a logical explanation, but this doesn't come across to me. Here, I think, would be a good idea to use something like white background for "go to gate" and something like amber or yellow for "boarding" - they are logically closer to the red of "closing" and should indicate to the passenger that they should get to the gate asap.